Earlier this year, we took a 360-degree camera into the underground powerhouse cavern. It’s time to reinvest in our aging dams and powerhouses and to prepare to invest in new assets. Built in the 1930s, Ruskin is undergoing upgrades to make it safer, better able to withstand an earthquake, and more efficient. 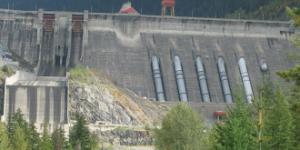 A sixth unit at Revelstoke Dam would add 500 megawatts of capacity to help us meet peak demand periods during the coldest, darkest days of the year. We've selected a preferred alternative among three routing options for one or two 230-kilovolt transmission lines between Coquitlam and Vancouver. At BC Hydro, we deliver reliable, clean power to homes and businesses across B.C. 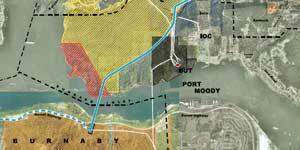 Detailed guidelines, including instructions on how to submit proposals for compatible use or development near power lines. Our high-voltage transmission system has 18,286 kilometres of lines that carry electricity from our generating stations to homes and businesses across B.C. Water powers B.C. through clean and renewable generation at our hydroelectric dams. BC Hydro operates combustion turbine generating stations at both Prince Rupert and Fort Nelson. 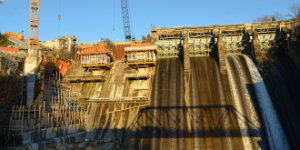 We manage the safety of all of BC Hydro's structures that retain the reservoirs and control the passage of water.